Field recordings drone and decay, seemingly piped in from another planet while this one crumbles around us. There’s a narrative in the press release about human ruins, time-crumbled monuments to an era of growth and prosperity, now left to erode with the weather and even more time. Stumbling upon such ruins generations later, is it even worth remembering who initially built them? Does history matter, or is the past a curiosity experienced merely through happenstance? 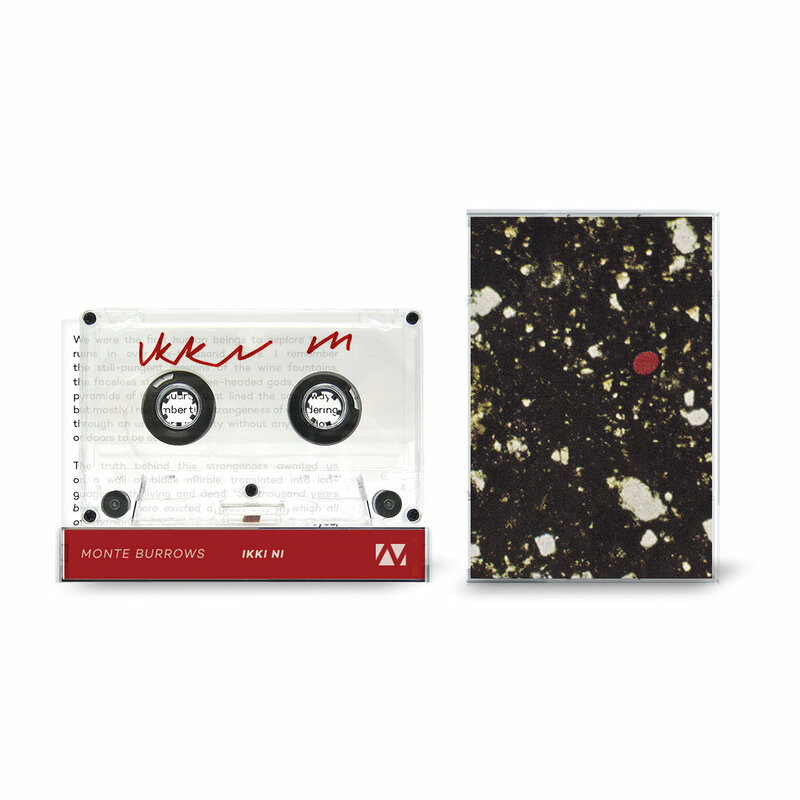 Monte Burrows, aka Joe McKay, explores these ideas on his new tape for Wounded Knife, Ikki Ni. On it, he presents the past as a relic, but one experienced as a monolith throughout the ages, quiet, still, eternal. Anybody remember the old console game Shadows of the Colossus? Great game. Ikki Ni taps into that vein of distant, nagging emotion, as well as a determination to survive, even though it’s pointless to try. No matter what kind of order we attempt to impose on life, our lives, other lives, it always falls victim to entropy. Side A, “Silhouettes 1–5,” is the perfect encapsulation of vague reminiscence presented as music, as recordings fade in and out, leaving only representations of their existence. They tug at memories, evoke nostalgia, and dissipate as ghosts do when they’re finished. “Shadows of Manitou,” side B, does a similar thing, except it repeats until time defeats it, and it decays into static that is broken by otherworldly tones, music from another universe that has seeped through where the division between worlds has grown thin. It’s like a transmission from different ruins, similarly aged, but just slightly different. Physics and history collide and become sound, and all of us who can hear it become aware.